Man United dismantled a hapless Fulham 3-0 at Craven Cottage this afternoon, as the Red Devils continued their fantastic run under manager Ole Gunnar Solskjaer. Goals from Anthony Martial and Paul Pogba (x2) proved the be the difference between United and Fulham today, as Ole Gunnar Solskjaer’s side kept up their near-perfect record under the Norwegian. United have now won all but one of their games since Solskjaer took over, with that one winless game being a 2-2 draw to Burnley, a match in which United found themselves 2-0 down at one point. 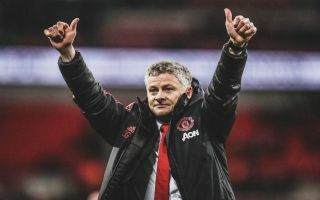 United have been one of the most form team in Europe since Solskjaer took over from Mourinho back in December, something that has seen the club sneak back into the top four in the Premier League. Following their win over Fulham earlier, United now sit fourth in the table, just six points behind Tottenham in third place. United being in the top four is a feat that the club haven’t achieved since the first day of the Premier League season, when they beat Leicester City 2-1 at home. The Red Devils’ resurgence in form is something that can be mainly attributed down to Solskjaer, who looks like he’s done an absolutely fantastic job at the helm for United during his short time in charge thus far.